A wedding is a milestone in every adult couple’s life as a symbol of eternal love and unity. An intimate wedding ceremony before an audience of close family and friends is a luxurious. 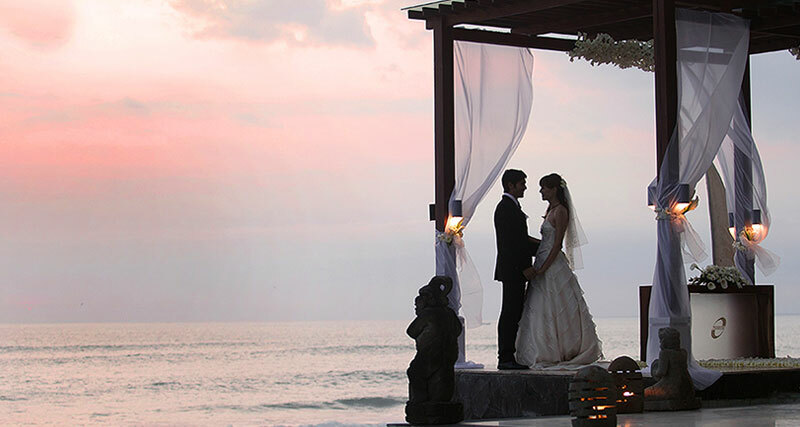 The Seminyak Beach Resort & Spa is the perfect setting to celebrate a new beginning. A professional team will assist all the time consuming details leaving the bride and groom to relax and enjoy the lead up the big day. The Seminyak Beach Resort & Spa has extensive experience in catering, decoration, photography, flowers, entertainment and all the other necessary arrangement that need to be made. 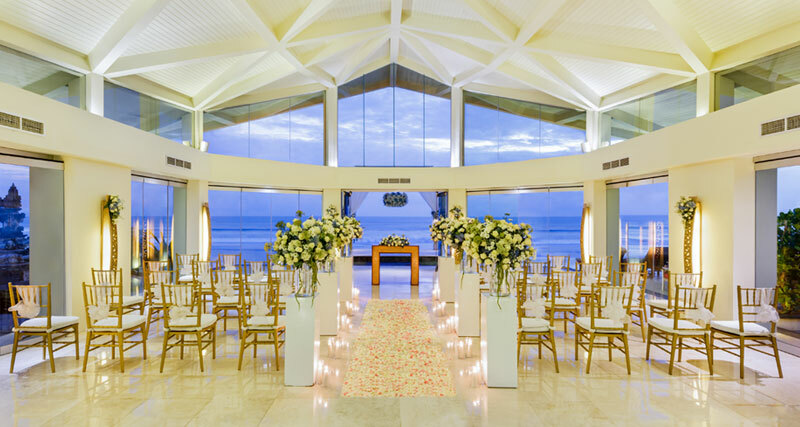 The Seminyak Beach Resort & Spa is a charming venue for couples to exchange vows of commitment on the white sands beach side. Surrounded by the infinity pool and tropical garden and the longest beach front chapel, has been designed to take seasoned travellers on a journey of uncompromising luxury. This elegant pavilion are located on a beautiful Seminyak Beach with bathed in natural sunlight, dedicated setting for celebrate your special day. The Romantic idea resolved in a concept, combining state of the art comfort with the genuine ocean view. Opulent flower arrangements literally transform this setting into a romantic wedding chapel for up to 90 invited guests. 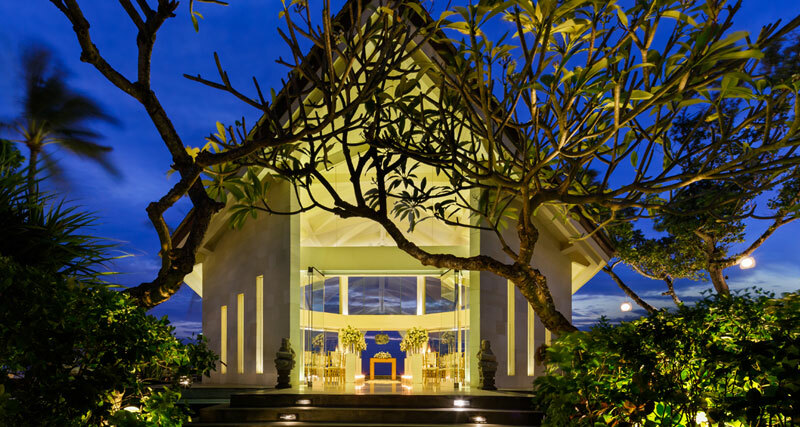 Purnama Chapel promises a truly magical experience by the beach.